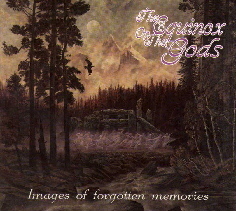 The Equinox ov the Gods was formed in 1990 by Fredrik Wallin (vocals) and Melker Ryymin (bass). The band was founded as a creative platform from where they could explore their realm of music without being restricted by the accepted standards, by time and current trends. The infamous British poet/occultist Aleister Crowley once stated “Do what thou wilt shalt be the whole of the law.” And, perhaps, to honour this motto and to indicate his interest in the occult Fredrik named the band after one of the books written by the Great Beast 666. The first recording, the demo tape “Songs from the Hill of the Heartless Giant”, was released 1992. After two more demos, “Watch the Shadows Dance” (1993) and “This Sombre Dreamland” (1994), the band was signed for their first full length album. 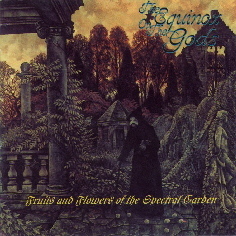 "Images of forgotten memories" was released in 1996 and it was followed in 1997 by "Fruits and Flowers of The Spectral Garden." At this time the band felt that they could no longer work under the conditions stated by their record company. So when it was time to begin the recording of their third CD they broke up with the old label and soon found another one. 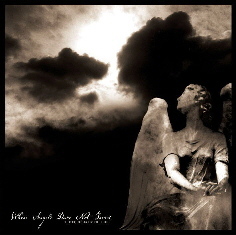 “Where Angels dare not tread” was recorded in 1999 and was supposed to be released the same year. But unfortunate circumstances and events lead to that the album wasn’t released until 2002. The music was early described in reviews as “gothic” and “dark metal” but this has never been paths deliberately chosen by the band. In some interviews Fredrik has said “As soon as you choose a category for your music you immediately set up the limits restraining your creativity. And, personally, I am not interested in restrictions and limitations. I am interested in creation…” But nevertheless the music has evolved into what may be described as a dark brand of metal with strong Gothic undertones which invokes a gloomy atmosphere and visions of ruin and demise. Since 1990 the Equinox ov the Gods have gone through a lot of changes in its line up. The band has existed and even played gigs with a rather minimalistic line up consisting of only two people. Nowadays, apart from the founding member Fredrik Wallin (Vocals), the line up is Arttu Malkki (drums), Morgan Svedlund (guitar) and Jocke Wassberg (guitar).